There's heaps of Betty Jo Designs info. over at Lino Forest. Pop over to have a look! A select range of Betty Jo "Time will Tell" Lino clocks are now available to buy on Big Cartel. They are made to order and will be totally unique , one of a kind clocks. They make the perfect gift. Weddings, christenings, housewarmings, or Mother's Day (which is only one week away). Your walls will say thankyou! 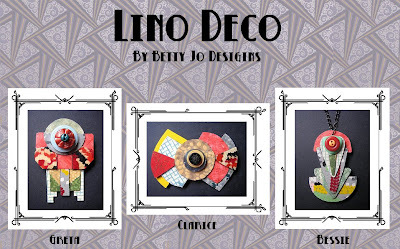 Betty Jo's Lino Deco range now available on Big Cartel. Go and have a looksie! P.S.There is a Valentines Giveaway happening over at Lino Forest....just leave a comment to enter. Lox the Fox cub and his siblings can be purchased from Betty Jo Designs. Each fox will be slightly different, making him utterly unique. Brooches are Aus $40 + $2 p&h. Pendants are Aus $45 + $2 p&h. I take paypal, cheque or direct deposit. Email me @ bettyjodesigns@gmail.com if you would like to adopt a fox cub of your own. 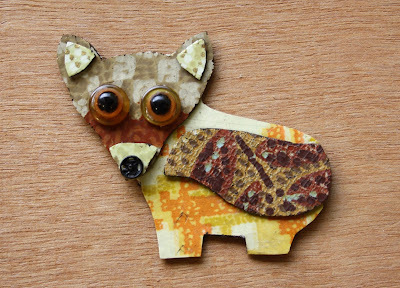 Update- Fox cub brooches now available from Etsy and Georgie Love! 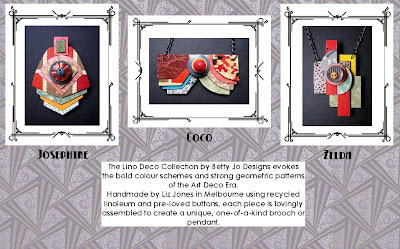 The New Betty Jo Collection "Lino Royale "is available to buy. The collection is inspired by the beautiful designs and colours of Victorian style stained glass windows, and each piece is named after a Historical queen. They are in limited production at this stage and not available to buy in very many places. 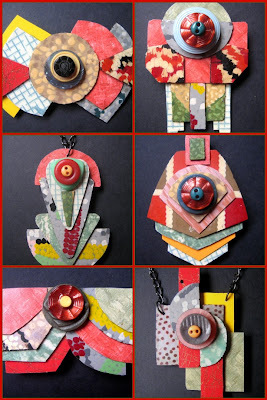 All totally unique and one off pieces crafted from retro lino, laminex and vintage buttons. 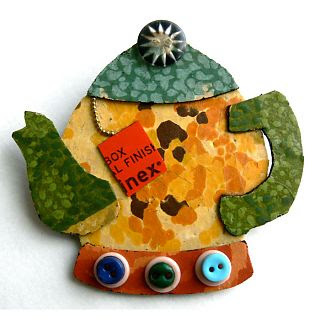 Brooches are $48 plus $2 P+H and Pendants $50 plus $2 P+H. 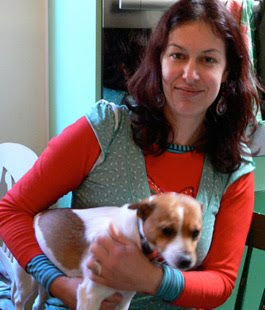 Pop over and visit me at Lino Forest for interesting goings on in the life of Miss Betty Jo! 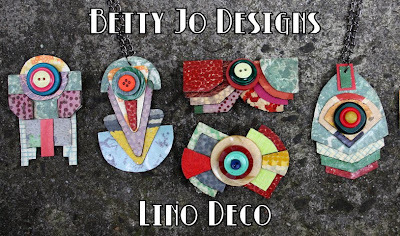 There is the full range of "Lino Forest" and "Lino Cottage " Betty Jo Designs available to buy at the super GeorgieLove online store. 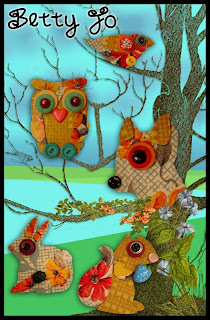 Click on the Betty Jo Designs page and you get to meet Chester and me! At the fresh and funky Moose online store you'll find specially selected Betty Jo Designs. The whole of Moose is bursting with great Australian products. 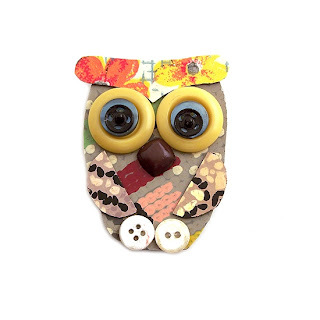 Look on Etsy for a cute little array of Betty Jo designs. In US dollars, Paypal accepted. Easy! The six "Lino Deco" designs are NOW available to buy as a brooch or a pendant. They are in limited production at this stage and not available to buy in very many places. Just send me an email if you are interested. 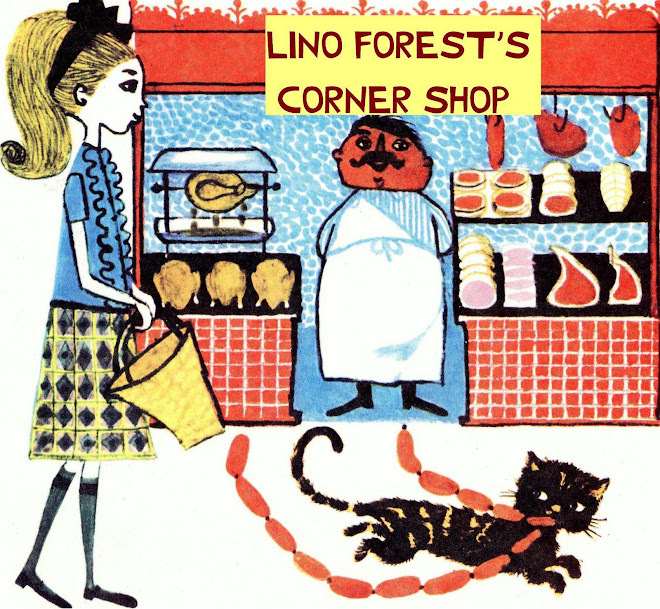 The Lino Forest Corner Shop is having a bit of a holiday, while Betty Jo is very busy. This Pink lino, button and doily necklace and bracelet would be lovely to wear on a special girly occasion or any spring day with a flower in your hair. The proceeds from the sale of these pieces will be donated to The Breast Cancer Research Fund Price on application. Just shoot me an email. * NECKLACE SOLD , bracelet still available. This Snow Dome brooch is approx. 7cmx5cm. Inside it's sparkly, snowy dome is a little Owlie called Olive, who is waiting for a night time treat. 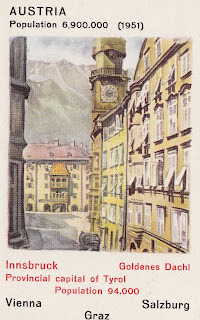 The brooch comes packaged with this vintage playing card of snowy Austria. It is your to buy for AUD$40 + $2 p&h. Just email me for payment details. Snow Dome Brooch has found a Home...I can custom make these with your choice of character. This Let's fly a Kite Brooch is available to purchase for AUD$40 + $2 P+H. It's approx. 8x6cm with a 5cm tail. No breeze guaranteed, but it will come with this cute piglet swap card with plenty of swirly wind! Just email me for payment details. Kite Brooch is no longer available. More Coming!!! This Lino and Button Paint Palette brooch is 7x7cms. It comes packaged on this Parisian Street scape swap card, and is yours to own for AU$40 + $2 P&H. Just email me if you are interested. This delicious Lino Gelati brooch comes with my three favorite flavours -raspberry, chocolate, and mango. It is approx. 8cm high and comes packaged with this cute raspberry swap card. It can be yours for a yummy special price AU $38 +$2 P&H . Just leave me a message at bettyjodesigns@gmail.com for details. Gelati Brooch is SOLD.. but more flavors available! 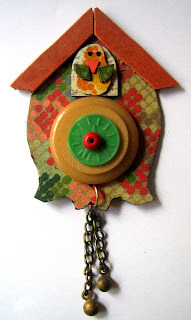 This quirky cuckoo clock brooch is approx 7cm high and has a 4cm brass pendulum. It comes packaged on this vintage Switzerland Happy Families game card. To own this unique Lino time piece, just message me , and it's yours for $40 AU + $2 P&H NOTE Cuckoo clock is SOLD If you wish to order another similar, just contact me . Elly Elephant is a cute lino brooch who is looking for a person to love. She is just a baby! Elly comes packaged on this vintage elephant swapcard. Elly Is SOLD! but i would love to make you another one..... if you so desire. This little dolly brooch is called "Holly". 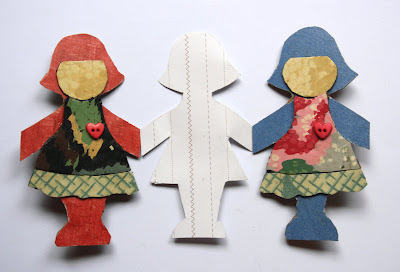 She stands approx 7cm tall and comes packaged with this retro Holly Hobby swap card. Her dress is made from a lovely old doily, and her body is of course lino. You can own Holly for $ 40AU +$2 p&h. *Holly Dolly is SOLD. Orders Welcome! This cute little puppy is approx. 7cms high and is yours to adopt and name for $40AU +$2 p&h. The brooch comes packaged with a vintage doggy swapcard. This special space will display new and exclusive "Betty Jo designs" brooches, pendants and other luscious lino designs that will be available for sale. Special orders are welcome. Just email me and I will arrange payment options and postage and handling. 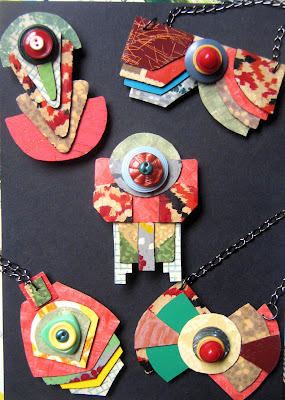 Unique, one-of-a-kind jewellery, clocks and objects d'art created from recycled vintage linoleum and other *gleaned* treasures. All handmade with LOVE in Melbourne, Australia. 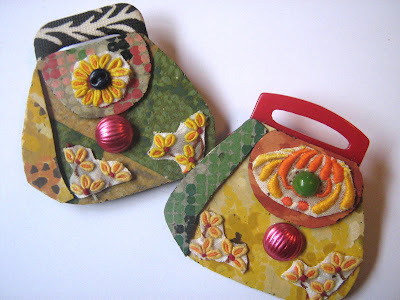 Read all about Betty Jo Designs!